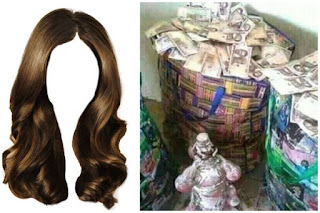 According to a Nigerian digital strategist, women natural hair is now being targeted by ritualist as it is now allegedly being used for money rituals. The popular digital strategist known as, AURA ❤️COOL on Twitter, wrote that a friend told him about the new system being used by ritualist in the country. A nylon full of women's natural hair sells for N450K for ritualists.